1. In order that your mind should become firm, observe with full attention your duty, which is the practice of sadhana. 2. Instead of practicing sadhana superficially, follow it intensively in such a way that your mind is totally immersed in it. 3. Only the aspiration towards the fair firmament of supreme consciousness, which has no final goal other than mauna, is most worthy endeavor. 4. Grace will not combine with a bat-like mentality. Stick with intensity to one [path]. Bats nibble at one fruit and fly away, looking for another fruit to nibble at. They never stay long enough in one place to finish a single fruit. 5. All meditation practices are the means that enable the attainment of the strength of mind that is necessary for Atmanishta. Question: How is the mind to be eliminated or relative consciousness transcended? distractions; train it to look inward; make this a habit. the obstacles to peace of mind. Question: How is restlessness removed from the mind? 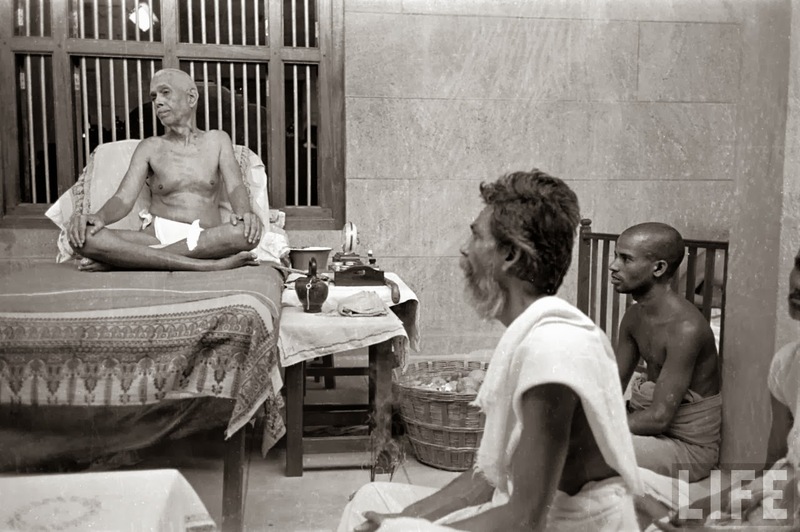 Muruganar (sitting in front) wrote Padamalai after Bhagavan's mahasamadhi. 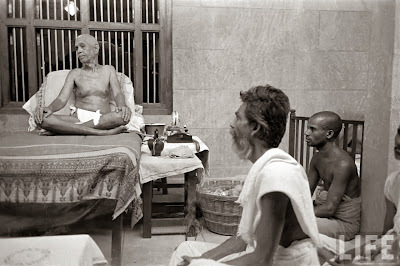 All verses have this shorter form compared to Guru Vachaka Kovai. The all reproduce direct quotes of Bhagavan.